Jen Manion’s thoughtful and provocative essay, The Performance of Transgender Inclusion: The pronoun go-round and the new gender binary, proposes that having participants in group spaces identify their pronouns to each other causes more harm than good. I disagree. For almost two decades, I have been working to address the harm and exclusion that trans people face that lead to astounding rates of poverty, criminalization, deportation, and interpersonal violence. I agree with Jen that there is a lot of work to be done to address these injustices, and that engaging in practices aimed at helping people refer to each other respectfully in group settings is one small part of this work. I do not agree that it is more harmful than beneficial, or that it has run its course and can be discarded. I am a law school professor, and, as far as I know, the first openly trans person ever to be hired as a tenure-track law professor in the US. For 10 years I have worked at the same law school. In my first fall there, I was introduced by the wrong pronoun on stage at new student orientation as I prepared to give a talk to the entering class. A couple graduations later, I watched one of the two trans students in the school of 900 law students get mis-pronouned on stage as he walked during the graduation ceremony. Throughout all my years at the University and in the profession, being mis-pronouned has been a consistent problem for me and the handful of trans students I have had the opportunity to teach. 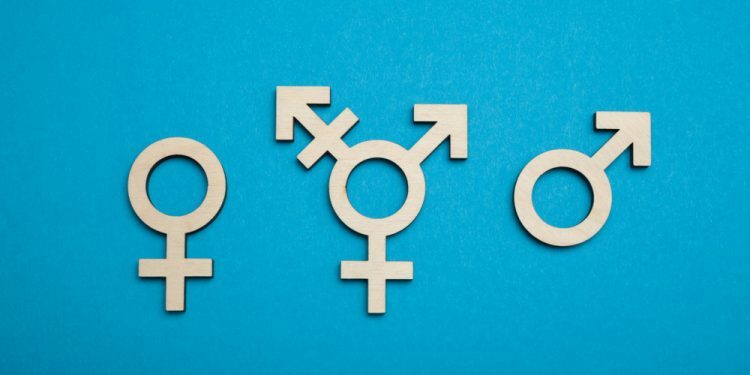 This year, my students are working to advocate that our writing faculty stop teaching that the singular pronoun “they/them” is grammatically incorrect — a battle we still have to fight even though even the mainstream press has recognized this use. Like at my school, most law professors mis-pronoun students, misgender them when they call them “Ms.” or “Mr.” (common in law schools), and call them by legal names that are on the roster without a chance to share what they would like to be called instead. 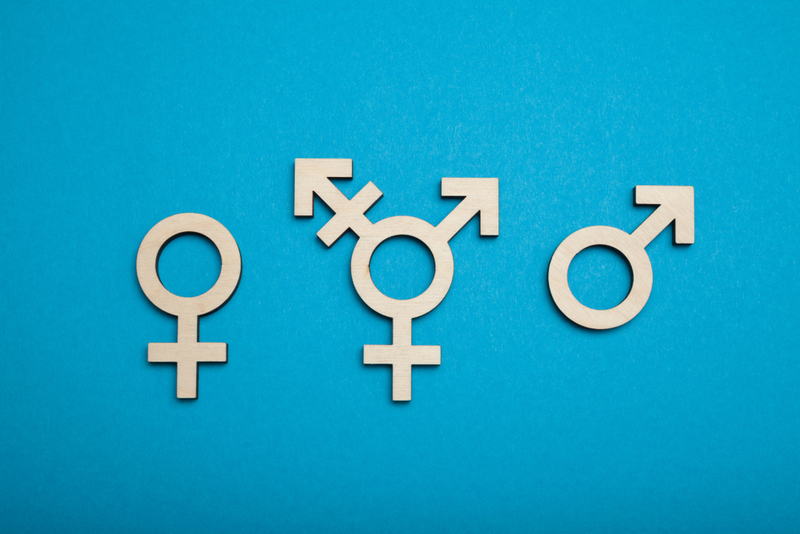 For students who use pronouns or names that do not match what a trans-unaware professor would assume or find on a roster, these forms of mis-identification can make them unwilling to participate in class and can impact their learning. Davey Shlasko, a trainer who helps build capacity for supporting trans students at universities, recently shared the following Adrienne Rich quote at a training I attended, “When someone with the authority of a teacher describes the world and you are not in it, there is a moment of psychic disequilibrium, as if you looked into a mirror and saw nothing.” This kind of erasure, I contend, is still common in most facilitated group spaces, including classrooms. Despite the decades of efforts of trans activists, there is a great deal of work still to be done to have students experience something besides complete erasure. Shlasko also mentioned in his presentation that researchers have confirmed what trans people already know: being called by what you go by, rather than being mis-gendered and mis-named, can reduce anxiety, depression, and suicidality. The levels of isolation, anxiety, and depression I see in my students, and in the trans young people I meet all over the country in the course of my work, and the stories I hear from them, make it clear that with the exception of people in very special pockets of liberal arts education, most face ongoing hostility and erasure, and crave spaces where there is an invitation to be respectfully referred to. Most people in the United States have never been in a space where they got to self-identify pronouns, or were asked to call others by what they go by and avoid assuming pronouns. I appreciate the anxiety that Manion’s article speaks to. I know many people can relate to fearing the moment when the pronoun go-round gets to you, and feeling like an set of assumptions are made based on the answer to that simple question. To me, the problem is not the pronoun go-round, it’s the gender system, and binaristic thinking of all kinds. In an ideal world, after having heard you state your name and pronoun in the go-round, people would assume nothing other than that is what you want to go by. It would not mean they know what kind of identity, body, behavior, or politics you have. In the real world, the things that Jen raises concerns about are important. People may assume someone is or is not trans because of the pronoun they use, or that they are or are not queer, radical, feminist, relevant, interesting, etc. I think this judgment flows in many directions. I have feared others would think I was too “square” for using he/him pronouns. Other people I know have feared others would erase their transness because they used the same pronoun that was assigned to them at birth. Some friends are who are trans and using a pronoun different than what they were assigned, but who are perceived as non-trans, also feel unseen in these moments. The thing about the pronoun go-round is that it is not meant to and cannot take care of all the many complex problems of judgment, identity, and anxiety that exist around our complex lives and our political movements. It is merely an attempt to create a practice of not assuming we know what someone goes by just by looking at them. For most trans people, at work and school, at the welfare office and in the group home, these are still huge fights with serious consequences. Ultimately, none of us, trans or not, are fully seen in any group, and we all have anxiety about that. Much of who we are is erased by the assumptions we all make about each other. We project on each other, and this is especially true for people who are seen as different in a group, or who have identities that make them either hyper-visible or make their experiences invisibilized and erased. This is the heartbreaking reality of living within hierarchical systems of meaning and control. The pronoun go-round is a tool for trying to reduce some of the impact of projections and assumptions. It is not perfect, but it serves a useful purpose given the current context of most group spaces. When reading Jen’s critique, I thought about another go-round that has become common in activist spaces I am part of: the access needs go-round. In this go-round, people can share what they need to access the space and anything they want others to know about that. It could be “my pain is flaring up today and I wonder if anyone has an ice pack,” or “I need help operating the elevator each time we break today,” or “I need people to try hard to speak louder and slower.” There are lots of limitations to this exercise. Sometimes people have anxiety about sharing what they are going through, or fear people will make assumptions based on what they do or do not share. Sometimes people who have not been exposed to a disability justice framework say “I do not have access needs” when it is their turn, rather than “my access needs are being met.” This mistake sets up the ablist idea that some people’s needs are “neutral” or “normal” or not needs at all, erasing the reality that the way spaces and activities are constructed has some people’s needs in mind while others’ are erased and excluded. Sometimes people have needs that cannot be met by the group, so they are still excluded or suffer harm when trying to participate. Even with these limitations and problems, I am a supporter of the access needs go-round. It aims to let people come to the space as our whole selves, and not have to be stoic or leave if something is not working for us. It makes one small effort to address the ways that most group spaces are inaccessible. It is a small practice that is part of a radical dream of a world that does not cut people out of participation based on narrow norms about bodies and minds. It does not achieve that dream, but it might achieve some small cultural shifts, some awareness, and some moments of material support for people inside our group spaces. Pronoun go-rounds and access needs go-rounds are different and address different massive systems of injustice, but to the extent that they are group go-round practices aimed at lifting up the unseen and making spaces less exclusive, and to the extent that they bring up anxiety and are only a small contribution to the bigger work that is needed, they share some qualities. I support both. I recognize Jen’s point that if anyone thinks they are the only necessary step toward gender and/or disability liberation, that is a mistake. But that is not a reason to get rid of them. This month, I attended the National Women’s Studies Association annual conference and was part of a plenary panel about “The Future of Gender” that included other trans speakers micha cárdenas, Tourmaline, and Riley Snorton, and was co-organized by Kai Green. It was a big deal to have the NWSA have a trans-focused plenary, because there are decades of anti-trans history inside women’s studies departments and feminist spaces, and those battles are ongoing. The conference had ribbons that participants could attach to our name badges indicating our pronouns. To me, it was a meaningful welcome signal that indicated the conference organizers’ interest in the well-being and inclusion of trans and gender non-conforming people. The following week I attended the National Students for Justice in Palestine Conference where I was part of a plenary session about opposing pinkwashing. The name badges at the NSJP conference had pronouns written on them. To me, these two spaces, both of which I am pretty certain have not had a long history of trans plenary speakers, and have intentions about being intersectional and increasingly including trans and gender non-conforming people, are doing something meaningful and relatively new as they use pronoun awareness as a way to signal a culture of respect. Teaching participants, who may be new to trans issues, that there is a norm of referring to people by what they go by rather than assuming you can see it by looking at them, is a meaningful step in removing barriers to trans participation. While these organizations and their members should not presume that they have done all the work they need to do to participate in trans liberation, we can still recognize that these small efforts are significant wins of trans social movement work. Jen’s essay is helpful in asking us to think about the point of pronoun go-rounds, and working to make sure that people know why they are doing them and what they are supposed to tell us about each other. A few years ago I wrote a short piece I never published about misunderstandings that happen often in pronoun go-rounds, and how we might do a better job instructing people about them so they can work better. I include it below in case it is of use to people who use pronoun go-rounds. I hope people will continue to adopt this practice in group spaces in order to keep working to build a norm of not assuming gender by looking, and believing that people should be called by what they go by. In group settings like classrooms and meetings, people are often asked to introduce themselves one-by-one going around the room. In spaces where there is awareness about transphobia and gender binarism or where the facilitator has that awareness, people are often asked to share their name and pronoun preference. Lately I have noticed that in some spaces where people do pronoun go-rounds as part of introductions there is often confusion about the purpose of this activity. This confusion sometimes creates moments where transphobia and gender privilege are reproduced. Sometimes people doing the go-round aren’t sure what pronouns are (it’s a somewhat obscure grammar term, after all) and this can be confusing for them or cause them to have difficulty answering the question. Sometimes people hear pronouns from others that they are not familiar with so they aren’t able to hear what is being said and understand how to use the information to refer to people respectfully. Sometimes people laugh at the question in a way that indicates that they don’t understand why it is important and may reinforce the erasure of the experiences of trans and gender non-conforming people in the space. Sometimes people ignore the request to name their preferred pronoun. Sometimes people who are not trans or gender non-conforming dismissively say they “don’t care” what pronoun is used for them in a way that subtly or not-so-subtly suggests that those who care are somehow doing something wrong. This is often connected to a transphobic idea that circulates in certain feminist contexts that says that trans people are “too attached” to our gender categories and are being conservative and anti-feminist when we identify with a particular gender or ask to be called by a particular pronoun. Such beliefs and assertions hide the fact that the person speaking often lives with the privilege of usually being called by a pronoun that matches their identity and rarely facing the dangers encountered by those who are “hard to read” in terms of gender binaries. Sometimes people who are not used to the exercise and who are uncomfortable try to turn it into a joke, offering a silly pronoun in a way that ends up mocking the exercise itself. Ideally, we can do pronoun go-rounds in ways that help people participate in actually meeting the goals of the exercise instead of becoming a performance of transphobia or non-trans privilege. For that reason, I wanted to write down a few points about this activity in case it is useful for people using it. Pronoun go-rounds can be useful when people know why they are doing them and what they are doing. When the purpose isn’t explained or when people use acronyms that others don’t know the meaning of (like “PGP” for “preferred gender pronoun”), the activity can become less useful. It’s great to remember that many people may not know what the word “pronoun” means, may never have thought about how pronouns are assumed, and might have responses during a go-round that could be hurtful. If the exercise is more fully explained, people are more likely to be able to participate in ways that support the goals of the exercise. We want to make sure that people refer to each other by the name and pronoun that the person goes by. Frequently people assume they know what pronoun a person goes by based on looking at them. When we guess at people’s pronouns we might get them wrong. When people’s pronouns are mistaken they may feel uncomfortable and be less likely to participate in the group. We want everyone to participate here, and we want everyone to know how to refer to each other respectfully. So when we go around, each person is invited to share their name and information about what pronoun they go by. Some people may use “he/him/his,” “she/her/hers,” some may prefer to be referred to just by their names and not have a pronoun used, some people use “they/them/theirs” as a gender neutral-pronoun, and some people use gender neutral pronouns that may be new to some people in this room, such as “ze/hir/hirs” or others, and some people are open to being called by more than one set of pronouns. Please listen closely to each other and remember that if you forget what someone said later, you can ask them to remind you before you refer to them. It’s better to ask than to refer to someone by something they don’t like to go by. This exercise is important to helping everyone in this room participate and avoiding unintentionally disrespecting each other, so please take it serious and listen carefully. My hope is that if we explain this exercise to folks really clearly, it will do the job we want it to do and make the group spaces easier for people to participate in, and build skills in each of us to be make less assumptions about each other. Dean Spade is an Associate Professor at Seattle University School of Law, where he teaches Administrative Law, Poverty Law, Gender and Law, Policing and Imprisonment, and Law and Social Movements. Prior to joining the faculty of Seattle University, Dean was a Williams Institute Law Teaching Fellow at UCLA Law School and Harvard Law School. This article was originally published by Dean Spade’s website.